THE DAILY PIC: The photographer bridges our romance of the West and its realities. You need to click on this image and see it enlarged. 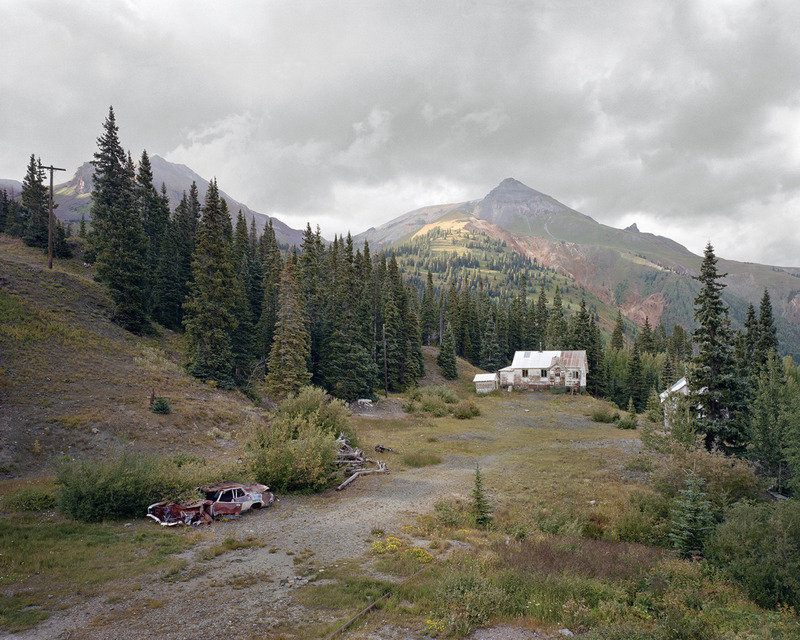 That’s because size matters for Abandoned Homestead and the other photos in Bryan Schutmaat’s solo show at Sasha Wolf Gallery in New York. It matters in the scale of his prints: Abandoned Homestead is being shown at 40 inches by 50, making it feel like the photographic equivalent of a Frederic Church painting. (Beside a Gursky at MoMA it might not feel so big, but in Wolf’s traditional photo gallery, or in any home, it reads as grand opera.) Size matters much more in the scale of the 8” x 10” film that Schutmaat shoots on: It gives access to a level of detail that lets us enter Schutmaat’s world and take a walk through its highs and lows. His appreciation for the romantic glories of the American West is matched by his empathy for the travails of its current residents; Schutmaat is both Church’s fan and his critic. Size in Schutmaat’s photography matters as much as a symbolic form–as a symbol of the landscape he’s shooting; of its history; of its grand disappointments–as for its perceptual or aesthetic effects.